But does it have to be this way? Do we really have to settle for this or can we choose to live differently? It is defined as ‘a state of mental or emotional strain or tension resulting from adverse or demanding circumstances’. But we know that it is also the result of a build-up of happenings, sometimes small ones, that have been left undealt with. And when we don’t deal with the stuff that shows up in our lives, stress builds up, eventually spilling out and our lives. It’s as much about how we do or do not deal with things as it is about the situations themselves. Cortisol is known as the stress hormone. It is a steroid hormone that is produced in the body. Under stress cortisol provides the body with glucose and this energy provision causes you to fight or flee a situation (fight or flight). 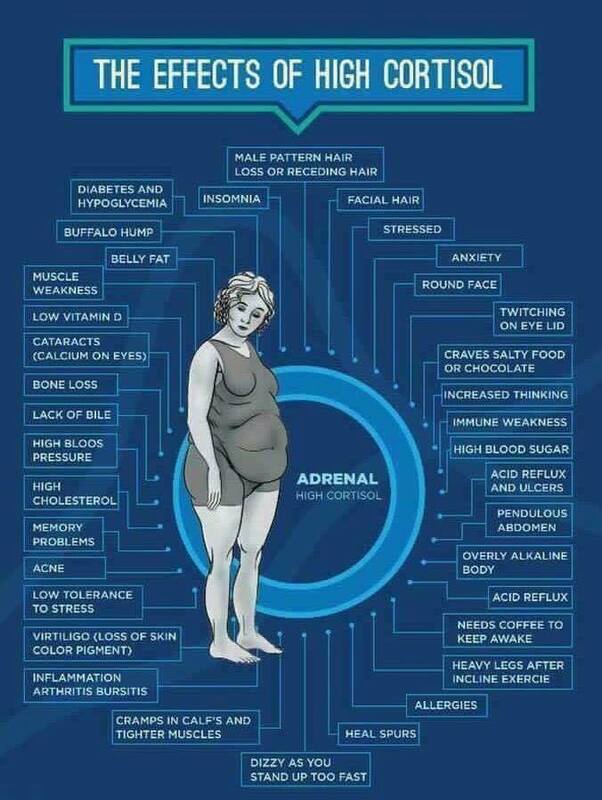 When your adrenal glands are over-worked and exhausted (cortisol is produced in the adrenal cortex), it affects the production of cortisol and it can become dysregulated. So, what can you do to reduce stress in your life? 1. Be self-aware – being knowledgeable of your own characteristics, feelings and behaviours can help you identify when things are not okay. It’s important to take time to tune into how you are thinking, the thoughts you are having and the behaviours you are displaying. And are you physically feeling things; a knot in the stomach, tension in the neck, a prolonged headache. Your body often gives you signs things are not as they should be. Ask yourself: Am I a little off-key? Are more and more little things irritating me? Am I withdrawing from people more and more? Am I arguing more than normal? By honestly assessing self you can, sooner rather than later, realise the need for action. 2. Take some time out – When you’ve finished your self-awareness questioning, be kind to self and take some time out. This might be downing tools, going for a walk-in nature, sitting & being still or talking things through with a trusted individual (coach, mentor, close friend). It’s too easy to get sucked into all of life’s happenings. And even when you are self-aware and realise things aren’t as they should be, if you don’t take time out to reflect, to talk through (or talk out as I encourage my clients to do when we walk, talk & coach) nothing changes. Attempting to reduce stress levels without changing your approach to life rarely works. You deserve to give yourself some time (let’s face it, you would probably willing give that time to a friend in need, so be your own best friend). 3. Deal with the issues – If or when you identify things that are causing the stress, write them down, seek out solutions (and this might be where a coach can support you) and then take action. Learn to appreciate, no matter how uncomfortable a thing is, once you deal with it, you can truly let it go. 4. Train yourself to manage stress – How? By not allowing things to build up in the first place. It’s scary how many things you ignore, or hope will go away of their own accord. By proactively seeking to do what is necessary in the moment or as close to it as possible, you free yourself from the burden of stress. 5. Practice calming techniques – This can be as simple as a walk, learning yoga or taking up meditation; things that calm your mind and centre your emotional, mental and physical wellbeing. 6. Get right with your nutrition – what you eat will either aid your stress levels or increase them. Food plays an essential role in your ability to deal with life and your body deserves the best. It will serve you well if you treat it well.